It’s the perfect time to pay them a visit. Members of Congress are heading home to their districts to begin a week-long recess. It’s the perfect time to pay them a visit and demand action on a crucial issue in grave danger under the Trump administration: health care. 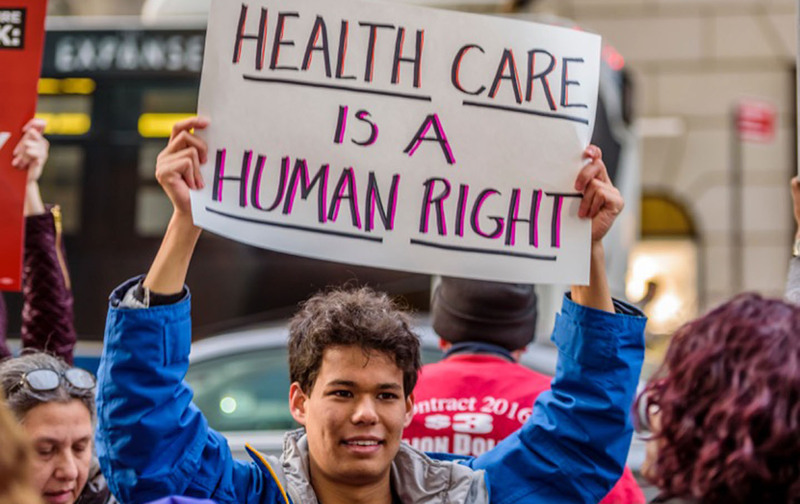 With Tom Price confirmed as the secretary of health and human services and Republicans determined to repeal the Affordable Care Act, we must act now to protect the gains of the ACA and demand a way forward toward true universal health care. There are many tools available to find town-hall meetings, rallies, or other opportunities in your area to meet your representatives or demand their attention. TownHallProject.com lists town halls and Resistance Recess includes town halls, rallies, and talking points specific to fighting for health care. You can also look up your representative’s address or phone number here. 1) Protect Medicaid. Republicans have long been trying to turn Medicaid into a block-grant program. Block-granting is an old idea that was already used to gut welfare and would almost certainly mean major cuts. You can read more about the tactic in a 2014 article for The Nation by Mike Konczal and Bryce Covert. 2) Medicare for All. Representative John Conyers recently introduced HR 676, the Explanded and Improved Medicare for All Act, a bill that would implement a single-payer “Medicare for All” system. Tell members of the House of Representatives to co-sponsor the bill and to advocate for it publicly and loudly. For more ways to get involved, check out Medicare4All or sign up for the Campaign for Guaranteed Healthcare. 3) Defend the gains of the Affordable Care Act. While nowhere near perfect, the ACA has made coverage possible for more than 20 million people and cut the uninsured rate by nearly half. Tell your representatives that we cannot go backward. Resistance Recess provides talking points for defending the program.